Virtual Reality is not new technology, but it has recently begun to see more attention being paid to it more than before. The potential that Virtual Reality has been always palpable, but recently, most of the issues with the technology are being fixed and the large corporations are now making their own VR devices. This tells us that VR is finally going to be changing the world sooner rather than later. 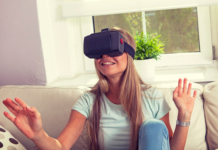 Not only is more technology taking advantage of virtual reality, but the hardware is becoming cheaper and more prevalent. Virtual Reality can be applicable to several industries where it would make a lot of difference in the way things are done traditionally. We will be looking at some areas where we expect Virtual Reality (VR) to change the way things are done for good. One of the most obvious uses of virtual reality is in video games. There are not many games that support virtual reality but as things get more advanced, we are seeing a whole new world where games can become immersive, intense and life-like. 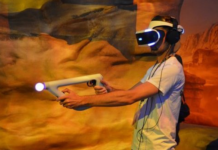 In the future of gaming, we expect to see increasing quality of the virtual reality and the capability to add other senses to it. Think of a future where VR can even alter the sense and help the player disappear even further into the game world. We can see how Pokémon Go has been hugely successful with its use of virtual reality or augmented reality to make a game immersive and exciting. Virtual reality can also be used in theme parks to provide a different dimension to roller coasters that will let people experience their favorite rides You can even include other fantastic features with the aid of virtual reality to make the experience even more memorable. Augmented reality is fast taking shape already and providing additional experiences to other activities. Music videos are already looking into how they can provide a show for viewers beyond what they can see on the screen. 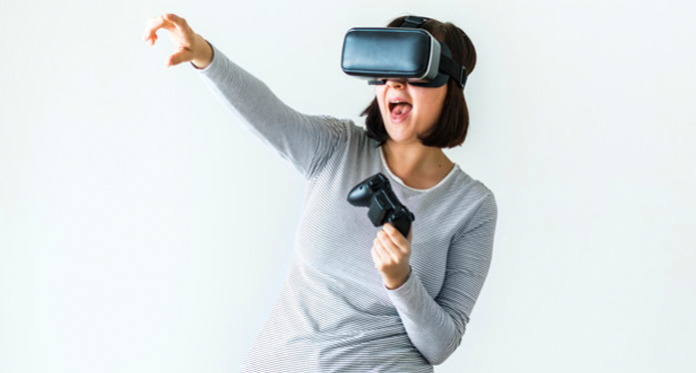 The opportunity is there and in the coming years, we will be seeing more implementations of virtual reality in the entertainment industry to provide a newer, more intense entertainment experience. This is also applicable to sports where the capacity of a stadium can limit the number of people that can watch an even. 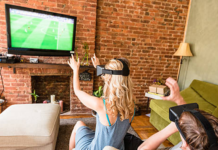 With virtual reality, there can be no limit to how fans can experience sports events. An example is Daytona NASCAR that is already using VR to provide fans with an experience that Is close that what they would get right there on the track. An important tool today is Google Maps and it has some of the most useful maps that everyone has come to love. The maps of the future can do even more with virtual reality. This will mean that people will be able to look around a location and see the world through the more details. Virtual reality can allow people to take virtual tours of popular places where the traffic is too much. 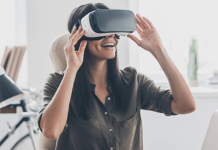 This can also be applied to real estate deals where estate agents can use virtual reality to show potential buyers what a how looks like without them making long journeys to the location. Not only will this help to map out more of digital environments for real estate and visits, but it could also be used to prepare soldiers for missions and battles where they learn a terrain before they actually have to go there. This is one way that we envisage virtual reality becoming pivotal in the way that we do business and visit places. Surgical training is a field that requires a lot of experience and practice in order for practitioners to hone their skills. Instead of waiting for real people to practice on, trainee surgeons can be training using a virtual reality interface that provides a realistic patient and scenarios for them to practice with. Such accurately rendered digital models can be used to simulate any kind of disease of the medical condition which the surgeon wants to teach. This would allow surgeons to be able to practice in many different scenarios, using different conditions that allow them the flexibility to make mistakes without worrying about the consequences. 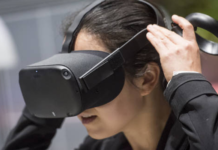 Virtual reality is able to open up more teaching careers to students especially in professions where it is difficult to find practical experience easily enough. Another area where this could be very useful is for pilots and how they use flight simulators. Virtual Reality flight simulators will be able to further provide a realistic environment and scenario for pilots to hone their skills properly. There are many flight simulations technologies today but by implementing virtual reality, it would be going to the next level to provide world-class practical training for any desired aircraft model or weather condition. This kind of intensive training can help to drastically reduce the number of accidents of professionals in high-risk work conditions. In 2020, the virtual reality market may be worth several billion due to the numerous potentials that are coming to play in our daily lives for both work and play. These applications will continue to provide new opportunities for the world. 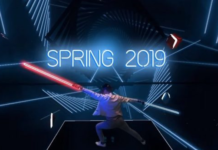 Next articleThe Best Virtual Reality Headsets of 2019: Which Headset is Right for You?